All facials are customized to meet your special needs and includes a thorough skin analysis to ensure that your treatment is perfect for your skin type. Michelle was one of the 1st in Kansas City to introduce eyelash extensions (see KCStar newspaper,and Flourish Magazine). She also pioneered the dermafile and nu face face lift. Relax during a candlelit facial with soft music, steam, and massage. I will address your special skin care needs while the stresses of life are lifted away. 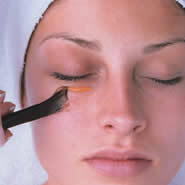 I offer effective, high quality clinical skin care products and cosmetics for professional grade skin care. All Makeup is done in my second office located at RSVP Med Spa. Michelle is a professional skin care and permanent makeup artist servicing the Kansas City, Leawood, Olathe & Overland Park KS area for over 7 years. 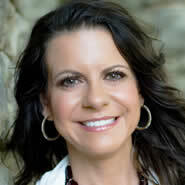 Michelle also sales IMAGE Skincare products to help improve problem skin conditions and/or skin damaged areas.